Skapade förra året ett bröllopskort till detta par och i år fick jag äran att göra ett ettårig bröllopsdagskort och då det är bomull så skapade jag detta. 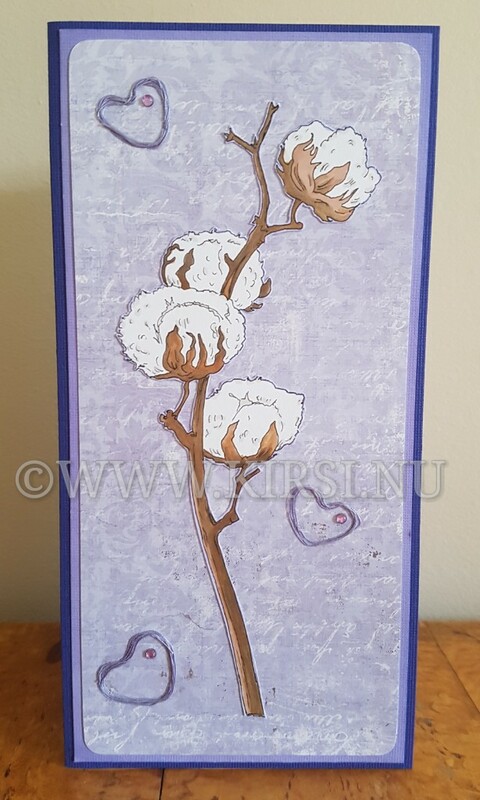 Made a wedding card for this couple last year and now I got the privilege to make a first wedding day anniversary card and as it is cotton I made this. Kortbasen är 20*10cm CS Concord grape och ramen Cool Heather båda från Reprint. Vintage Spring Basics 9th of April från Maja Design. 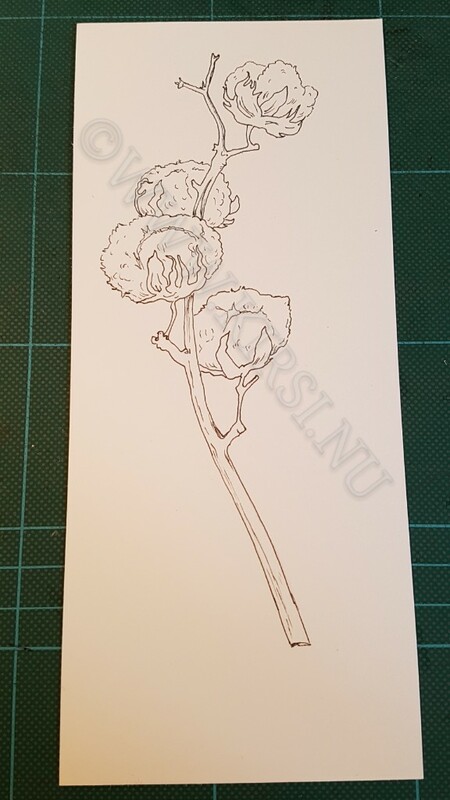 Jag ritade bomullsplantan och färglade med promarkerpennor (se bild nedan). 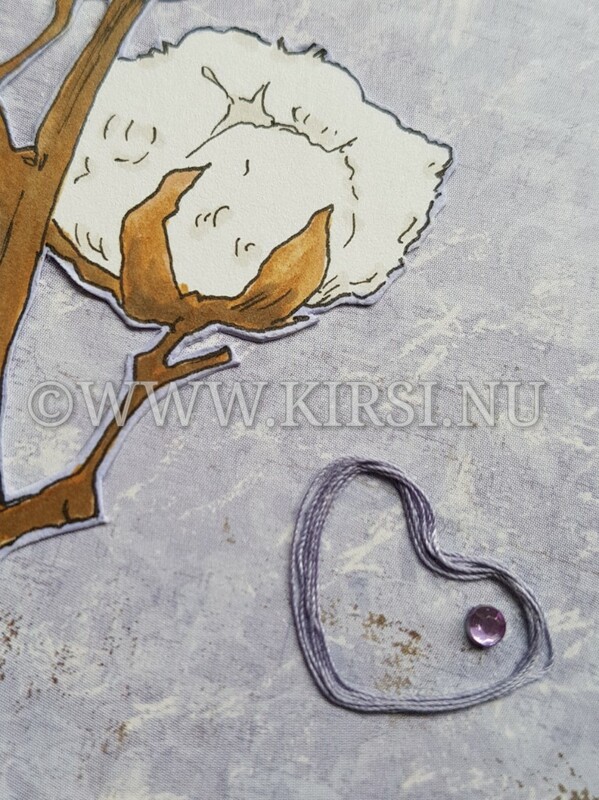 Card base is 20*10cm CS Concord Grape and frame Cool Heather both from Paper Accents. DP Vintage Spring Basics 9th of April from Maja Design. 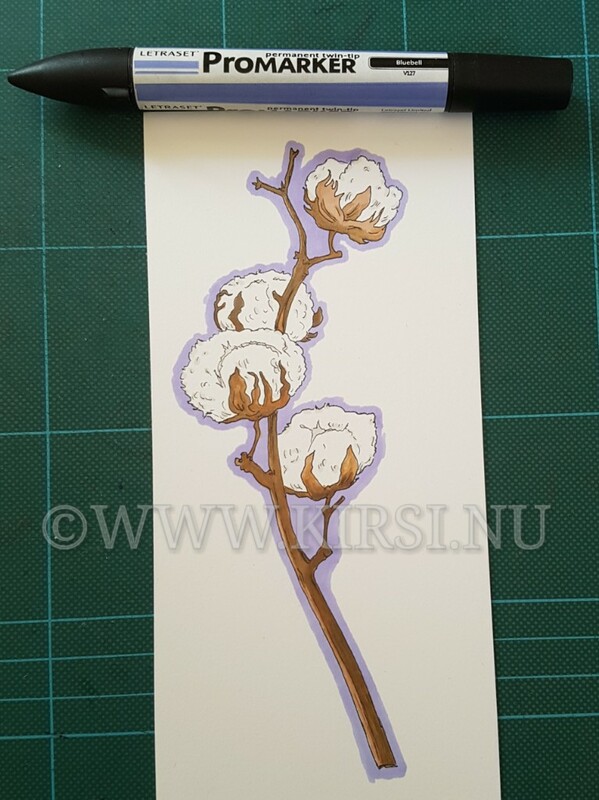 I drew the cotton plant and coloured with promarkers (see picture below). 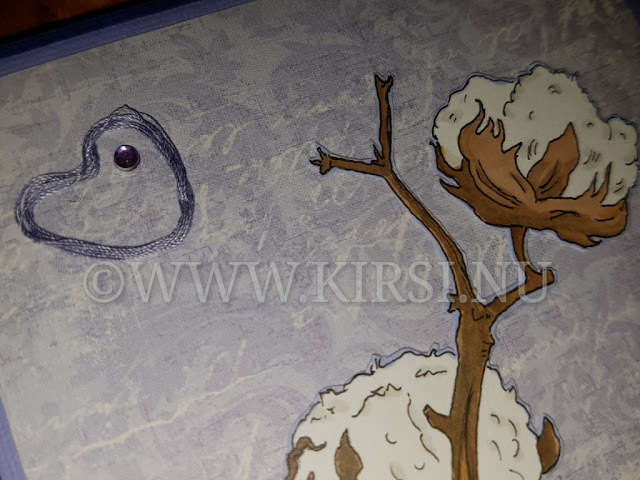 Med bomullssytråd och lim gjorde jag hjärtan dekorerade med ljuslila rhinestones. With cotton sewing thread and glue I made the hearts and decorated with light lilac rhinestones. 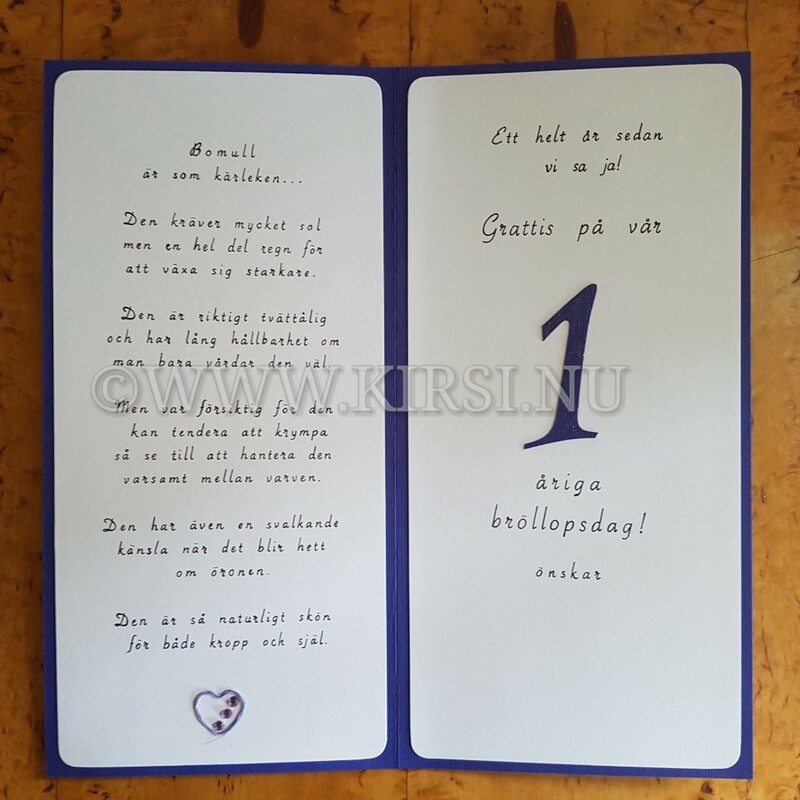 All text inuti är handskriven och egen design. numret har fått lite wink of Stella clear 999 så det glittrar. 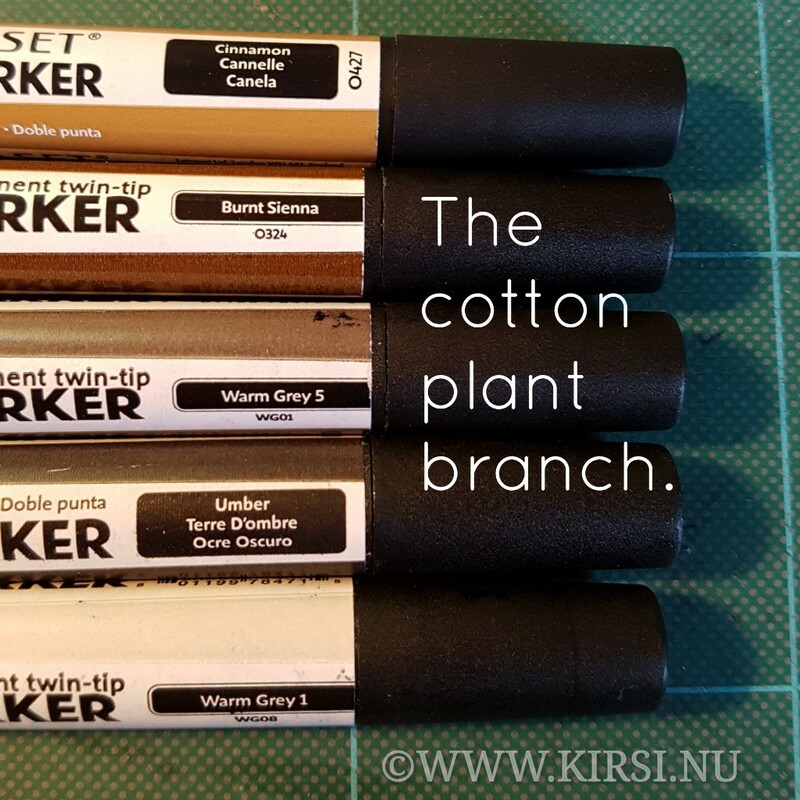 All text is handwritten and my own design. The number one got some wink of Stella so it glitters. It needs a lot of sun and some rain to grow stronger. It is really washing resistance and long durability if you take good care of it. But be careful cause it has a tendency to shrink so be sure to handle it gently from time to time. It has also a cool feeling when your ears get hot. It is so natural good for both body and soul.